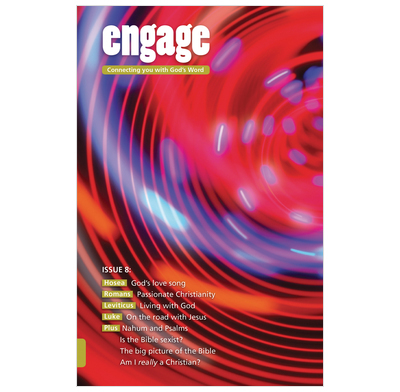 Issue 8 of Engage looks at Philippians, Deuteronomy, Luke and Jeremiah. Issue 8 of Engage - daily Bible reading notes for teenagers. This issue looks at Philippians, Deuteronomy, Luke and Jeremiah. There are also articles on whether war is right or wrong, from Islam to Christ, what's the big deal about sin and how do I become a Christian? • War - right or wrong? • Sin - what's the big deal? • How do I become a Christian?